The Huber TC100 offers an environmentally friendly, flexible solution for a variety of cooling applications that are easy to use. They are ideally suited to quick liquid cooling. A typical application is to cool heating thermostats or as a substitute for dry ice. The TC100 provides a environmentally friendly alternative to mains water cooling that is suitable for continued cooling – even when away from the lab. Thanks to its flexible design, the TC50 immersion cooler is suited to fit a wide variety of cooling solutions. 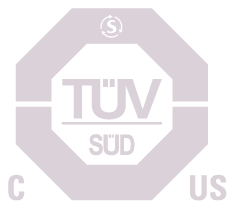 Typical applications for the TC100 include counter-cooling for heat circulating thermostats or as a replacement for dry ice. Dimensions (W x D x H): 295 x 500 x 570 mm | 11.61 x 19.69 x 22.44 in.